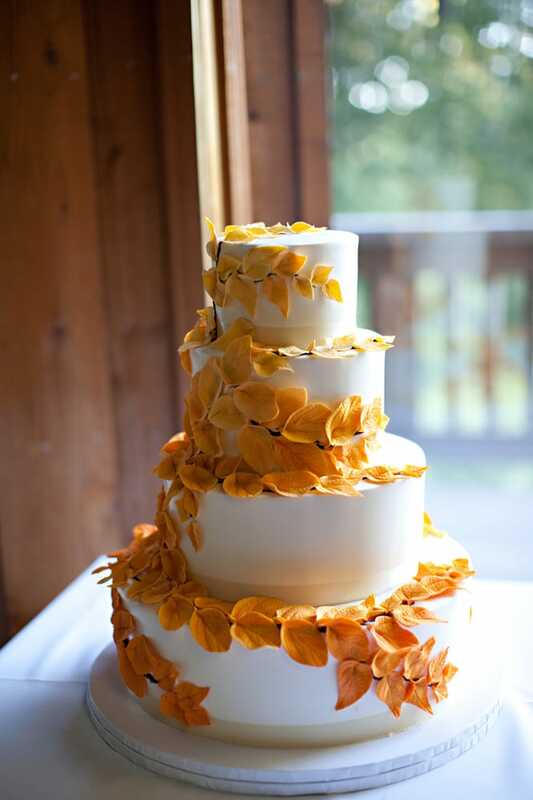 Creating Beautiful and Delicious Wedding Cakes has been our Passion for over 30 Years. We believe the wedding cake is the jewel of the wedding reception, a wonderful finale to a joyous occasion. We’re delighted to be considered for this important event in your life. Call or Email us to schedule an appointment with our wedding specialist to design the wedding cake of your dreams. The moist chocolate cake that made us famous joins forces with our decadent truffle cream. The last word in chocolate! Originally, Red Velvet Cake was made with quite a lot cocoa, buttermilk, and a touch of red color. That is just the style we favor. It’s a moist cake with a mahogany color. Chiffon cake filled with marionberry jam, a classics wedding cake choice. Lemon lovers choose our velvet-crumbed poppyseed cake paired with our sweet-tart lemon curd. Our Italian-American friends once celebrated every occasion with this special dessert from their corner bakery. Now we bring them the same delicate vanilla sponge kissed with rum, then touched with raspberry jam, and filled with creamy Meyer’s rum custard. Tender layers of vanilla sponge and chocolate mousse cake alternate with mouthfuls of raspberry whipped cream. A delight on the plate and on the palate. Chiffon cake with a hint of lemon, filled with fresh strawberries and whipped cream and iced with Italian buttercream. Fresh, organic strawberries unite with Ganache chocolate and cream to create an unforgettable dessert experience. We start our stacked round wedding cakes at $6 a serving, and we already have established tiered cake sizes that are both aesthetically appealing as well as structurally sound. Another thing we would like to mention is, not everyone eats cake. You don't necessarily need to purchase the exact amount. However, we will leave that up to you! Our wedding cake consultants are available to meet with you and assist you in planning your wedding cake. The first part of our consultations are dedicated to the design aspect of the cake. We have some digital images of wedding cakes online and books of design work we've done for the clients to go through or they can bring in ideas from Pinterest or magazines. After the design aspect of the cake is narrowed down, we follow with a cake tasting. The tasting consists of 7 slices of our most popular flavors, with a good variety of combination options. Serving amounts are completely decided by the Bride and Groom. Lastly, we produce a quote based on the Bride and Groom’s selections. To book the date and reserve a space with us, a deposit of 50% of the quote is required. A quote does not mean your date is reserved. A 50% deposit is required to secure your date. Spots are limited and we will decline cake quotes if we are booked. Once booked, we will call 2-3 weeks before the event to go over all details, to finalize with the Bride and Groom. After we confirm the final details, we will receive the final payment at that time as well. We offer delivery for cakes that are 80 servings or more, we do not deliver to all locations so check with us if you are wanting delivery! “The first time I had one of The Buttery’s carrot cake cupcakes, I knew what my wedding cake was going to be (and this was before I was even engaged!). And that is what we got. And we were not disappointed. “Thank you for helping us make our wedding day such a memorable event. Our wedding cake was absolutely beautiful!! “I am not proud to say that I had my biggest (and virtually only) bridezilla moment when working on cakes at The Buttery. Funnily, it had nothing to do with them and everything to do with my parents… ah, brides, what a scary species . Our cake was three flavors: one was white cake with ollalaberry filling; one was carrot cake, because they make the best carrot cake ever; and the top tier was a cheesecake which we were going to share with people the next morning. No, really, they do make the best carrot cake I’ve ever had. Period. But the other two cakes were ALSO fantastic, and the woman who worked with us on the design was so easy to work with; our cake was beautiful.